It’s no surprise that a word as old and familiar as word should have so many distinct but related meanings. In the paragraph above, you could replace word with, respectively, short conversation, news or information, communication, and promise; the last word can stay as it is. Word appears in many common phrases. To give someone your word is to give them a promise or guarantee. If you take my word for something, it means you trust my judgement or accept something I’ve said as true. If you wait for someone to give the word, you await their signal, order, or assent. 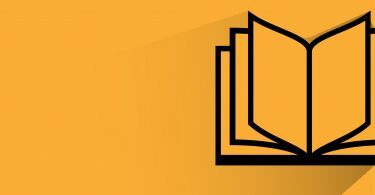 In many of these cases, word doesn’t mean “a word” so much as a number of words that convey a certain kind of message. This is an example of metonymy, where a word or phrase is used to refer to something with which it has a close semantic relationship – to transfer a concept to an adjacent domain, as linguist Guy Deutscher put it (metaphor involves transfer to a distant domain). Along the same lines, we sometimes use tongue as a metonym for speech and language. 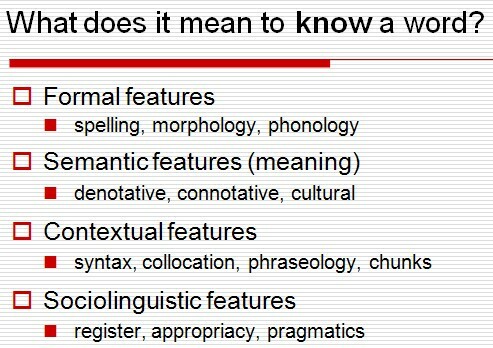 The image above is a slide from Michael Rundell’s presentation on language technology and lexicography. Evidently, there’s a lot going on in and around a word. Academics have long struggled to agree on precisely what a word is. Some of them have probably had words about how to interpret the question and what criteria to apply. But most people have a broad understanding of what a word is, and this general idea is satisfactory in most everyday situations. The lines that begin this post show that we should be wary of assuming too much about a lone word: words make more sense when surrounded by other words (see previous posts about collocation on this blog). Groucho Marx had fun with their ambiguity in his famous quip about a dog, while the critic I. A. Richards put it more philosophically: “No word can be judged good or bad, correct or incorrect, beautiful or ugly, or anything else in isolation.” Wise words. And seeing as it’s still sporting English month, how about “Have a word, ref!” as shouted by irate fans at football matches? Good one, Dan. Compared to most phrases yelled by irate fans at referees, it’s unusually polite!